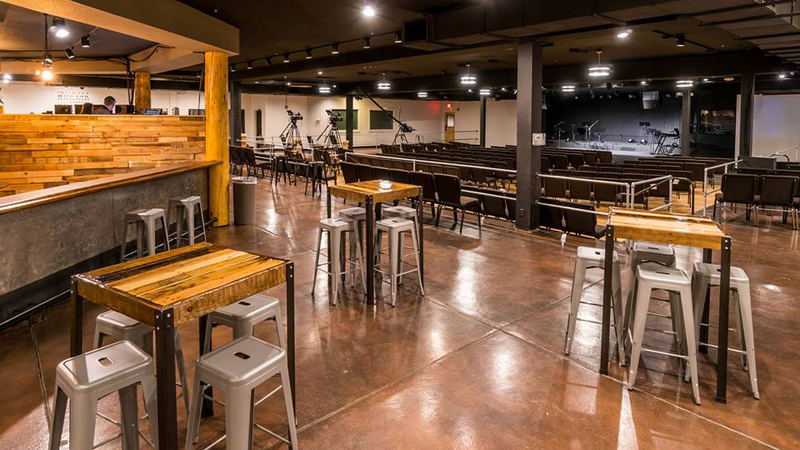 Located on 3rd Street in Bend, Eagle Mountain Fellowship is a non-denominational church that connects to the Central Oregon community through what the staff and congregation like to call “Tribe Life”. Through this philosophy, engaged relationships are built on a culture of honor strengthen one another. All are welcome to join Eagle Mountain Fellowship for services on Sundays at 11:00 a.m. and Wednesdays at 7:00 p.m. In addition to these weekly services, Eagle Mountain Fellowship offers several other programs for various ages and sectors. A children’s ministry nurtures and provides an environment that supports training and releasing of gifts that children hold. Youth groups provide pre-teens and teens with positive peer influences and a place to share, relax, and enjoy each other’s company. Led by church staff, several women’s and men’s small groups and studies are available to help individuals find answers to their questions, support one another along their journey, and deepen their personal faith.